Those cushions on the floor? They’re not cushions. They’re the big leathery bumps on the back of a humongous crocodile, ready to gobble you up if you don’t run across it to get to the other side of the swamp. Your favourite books strewn down the hallway? They’re not books. They’re wobbly stepping stones across a heaving sea of fiery lava – your only way to the safety of your magical golden castle. The skipping ropes you just tripped over? They’re not skipping ropes. They’re boa constrictors guarding the door to the secret jungle kingdom, ready to lunge if you don’t jump over them and save the hidden jungle people from impending doom. It’s easy for kids to see the ordinary as extraordinary. What we see as a big mess they see as a huge adventure! It’s important for us parents to nurture our children’s sense of adventure and fun. Staying indoors, watching TV and playing games on the iPad have their place. But nothing quite piques children’s excitement like heading outdoors (and saving your indoors from a tornado of chaos). 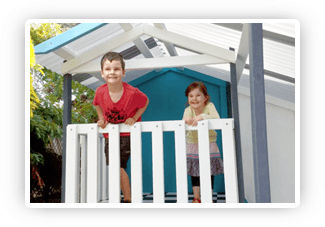 A cubby house is an ideal, safe way to unleash your child’s inner explorer. Kids can be as messy as they like, go as wild as their imagination lets them and enjoy that blissful freedom of being a kid in their own world. Avast ye landlubbers! 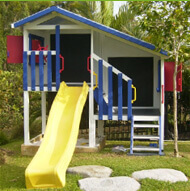 Turn your cubby house into the most feared pirate ship in the neighbourhood! Get your kids to make their own pirate costumes and flag, or you could purchase a Jolly Roger here. 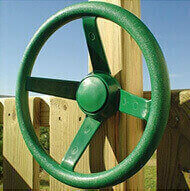 And what would a pirate ship be without a jumbo steering wheel? Keep on the lookout for approaching buccaneers with a telescope and threaten scallywags with the plank by using a megaphone. “So move aside make way – for Fireman Sam!” What kid hasn’t pretended to be Fireman Sam at some stage? Turning the cubby house into a fire station is perfect on a hot day when you don’t mind the kids having a play with the garden hose. And for that authentic fire station feel, you could even install a fireman’s pole and bell. Is your child a little on the wild side? Encourage your mini Bear Grylls – safely! – with a cubby rock wall, cargo net and rope ladder. Before they embark on their expedition, ensure they have packed all the survival kit essentials – compass, binoculars, Band-Aids and a little bit of chocolate for sustenance. Hide “fossils” (such as shells and rocks) in your kid’s sandpit or a tub filled with dirt. Give your little palaeontologists different tools – such as spades and paint brushes – for the dig and encourage them to display their finds back at cubby house base. What kind of magnificent creatures will your children discover when they travel 20,000 leagues under the sea in their own cubby house submarine? While exploring the murky depths, they can keep an eye on what’s happening above sea level – and see when it’s morning tea time – with their own periscope. 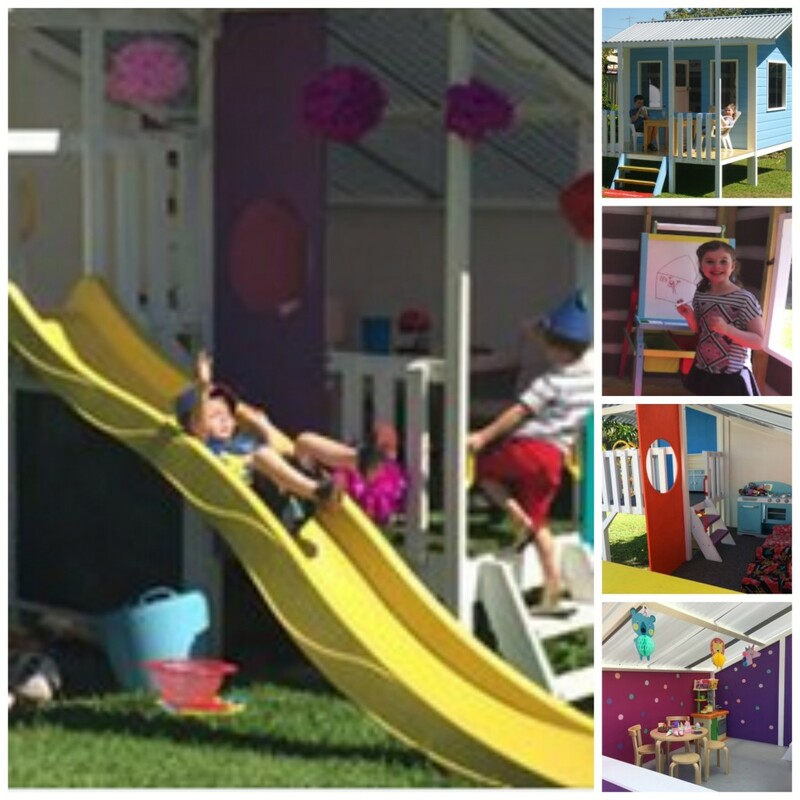 For more cubby house accessories that encourage adventure play, visit My Cubby. Cleverly written by the awesome Lauren Shay from Full Stop Publishing, on behalf of My Cubby – helping to get kids back outdoors into happy, healthy outdoor fun!